Three weeks ago Kris Lees was hoping to have a runner in the world’s richest turf race, but facing the likelihood he would have none. In a remarkable set of circumstances, he will now saddle 25% of the 12-horse field in the $13 million The TAB Everest (1200m) at Royal Randwick on Saturday week. Lees’s The Everest 'trifecta' was clinched when Le Romain gained GPI Racing’s slot, joining stablemates In Her Time (Corey Brown) and Graff (Brenton Avdulla) in the rich sprint. In Her Time was transferred to Lees’s stable on September 12 following the suspension of her trainer Ben Smith, then talented three-year-old Graff was awarded The Everest slot of Max Whitby and Neil Werrett when a deal was finalised on Sunday with the colt’s owner Alan Bell. The Whitby/Werrett slot was initially held by Menari, who unfortunately went amiss. Lees, naturally delighted with the prospect of saddling three runners in the $13m feature, was especially pleased to see Le Romain win a place in the field. “He absolutely deserves to be there,” he said. “He is a triple Group 1 winner, and two of those have been at Randwick, where he races so well. And if there is rain leading up to The Everest, his chances will certainly be enhanced. “All my three horses will go into the race in great order. In Her Time ran super first-up last Saturday when narrowly beaten in the Premiere Stakes. "She had a hard run but has come through it really well. I’ve got no doubt she will come on from that race. Lees has confirmed Glyn Schofield as Le Romain’s rider – and there is an irony in the gelding clinching GPI’s slot. 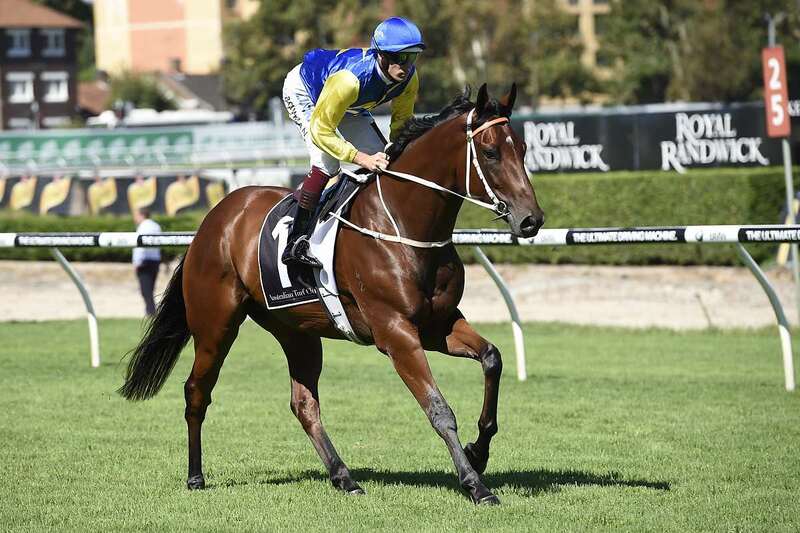 Schofield rode Le Romain when he edged out Chautauqua (part-owned by Ingham) in last year’s Group 1 wfa Canterbury Stakes (1300m) at Randwick on heavy ground. Chautauqua was in line to gain GPI’s slot until he refused to jump in a special trial at Moonee Valley last Friday night – and was subsequently retired. Lees broke new ground on Tuesday and it paid off when he sent three horses to the Coffs Harbour TAB meeting – and all won (Fuji Fury, Petain and Waruna). Andrew Gibbons rode the trio. “My float drivers say the trip to Coffs is so much easier now, and the races suited those horses,” Lees said. “I will definitely have more runners there in future provided we can find the right races for particular horses."